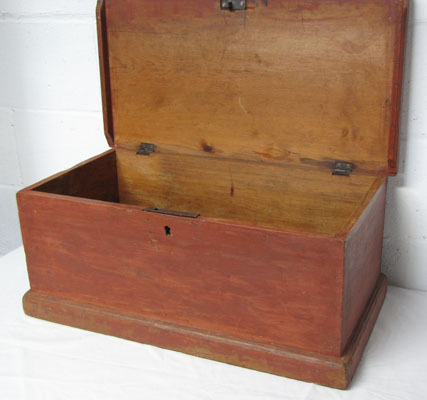 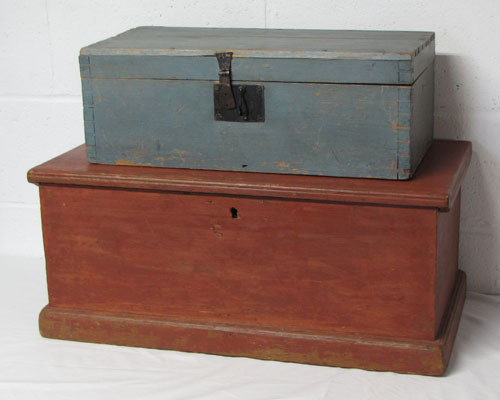 Smaller size box in old bittersweet painted surface most likely used as Childs blanket box or storage box. 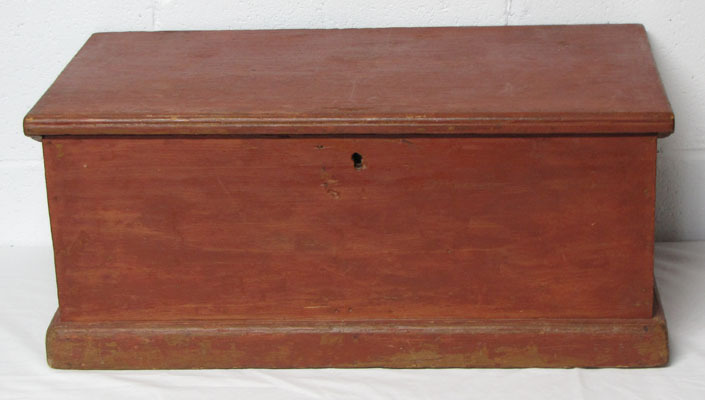 Original hinges and latch measures just 25" wide, 13" deep and 10 5/8" tall. 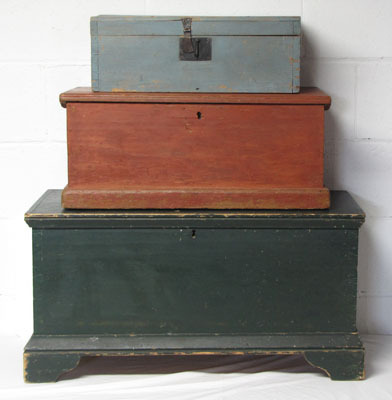 Just the right size for making a stack of painted boxes, as photos show, 19th century.